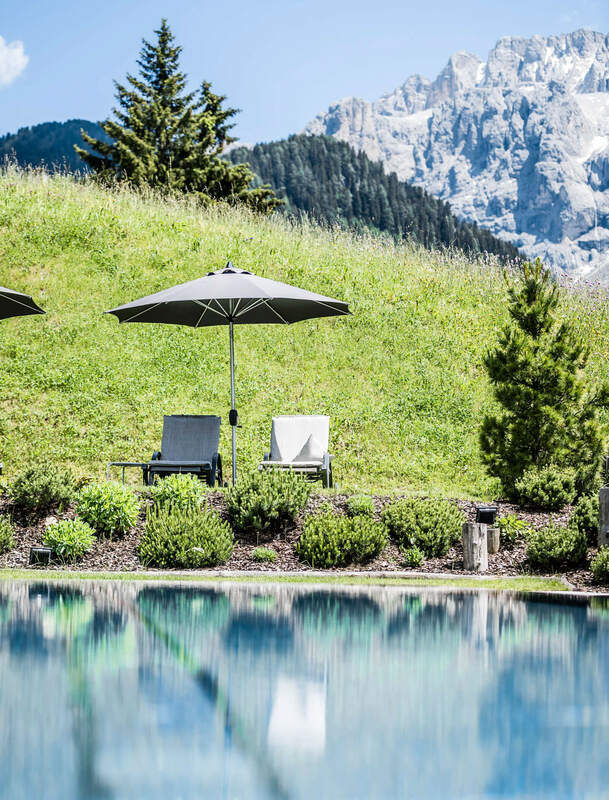 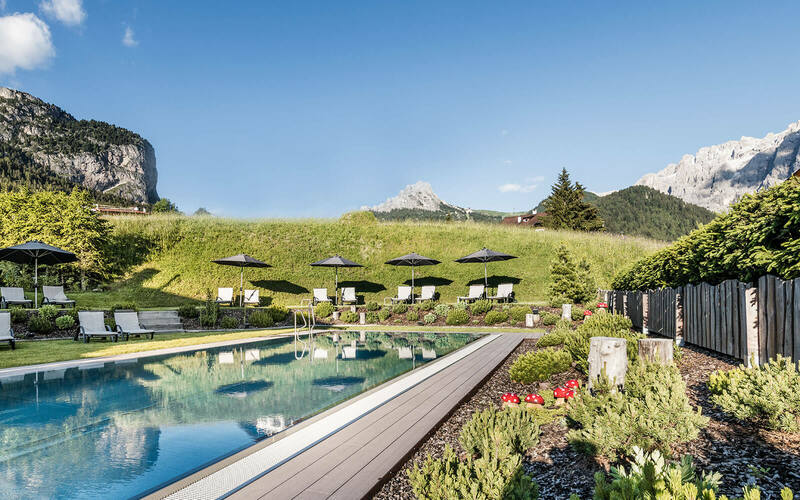 Hotel with swimming pool in Val Gardena - Wellness hotel in Selva. 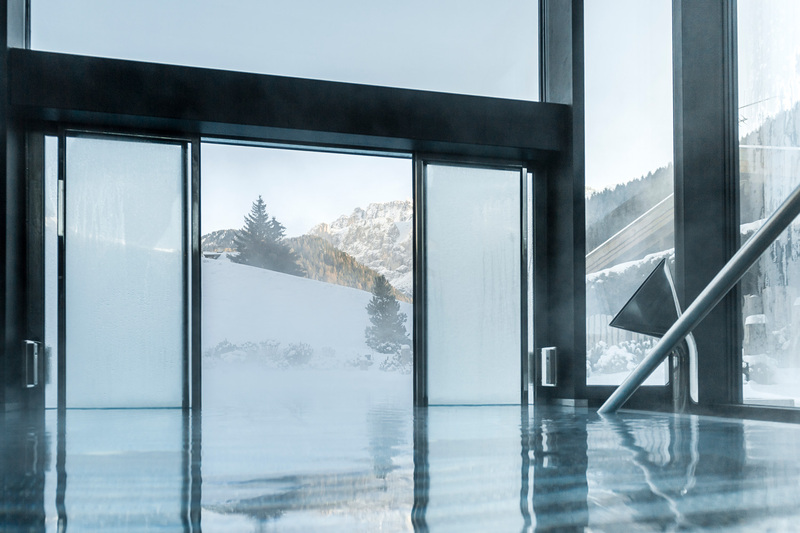 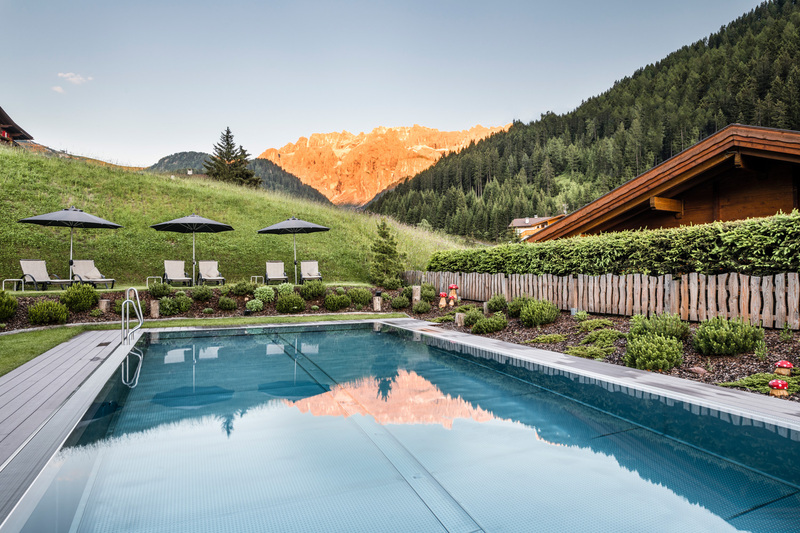 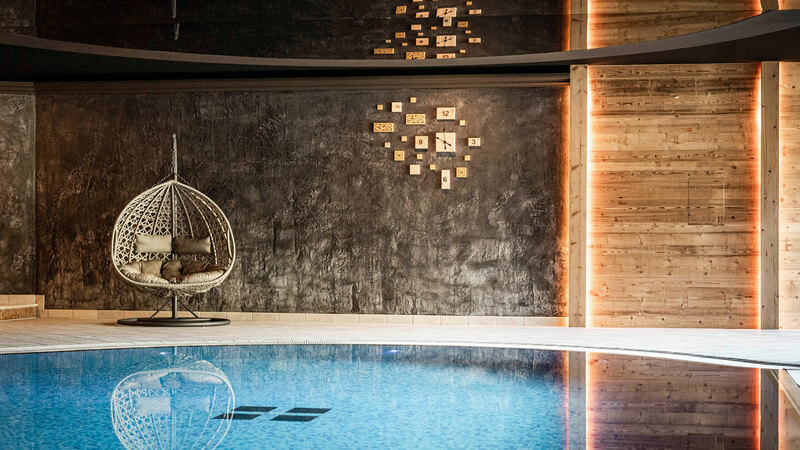 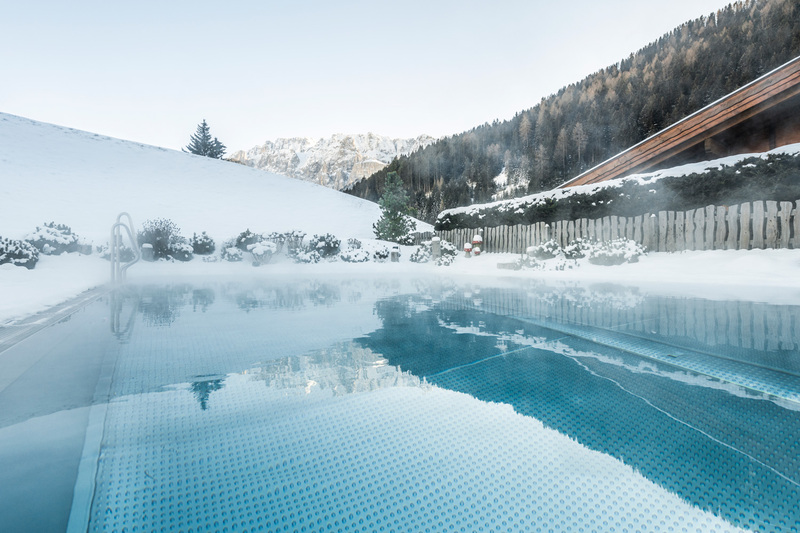 Have a swim in the Hotel Portillo Dolomites' beautiful indoor heated pool in South Tyrol and then relax in the outdoor whirlpool. 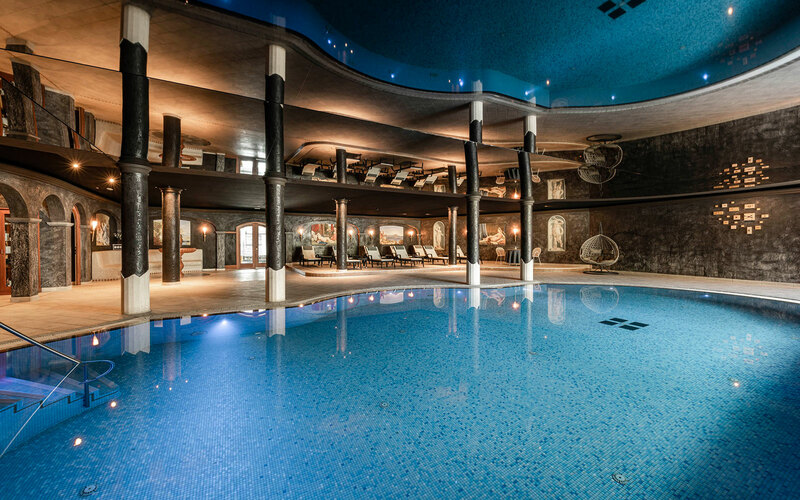 Beautiful mosaic pool with lights and water heated up to 30°, water tricks and swim against the current, the best way to get relaxed. 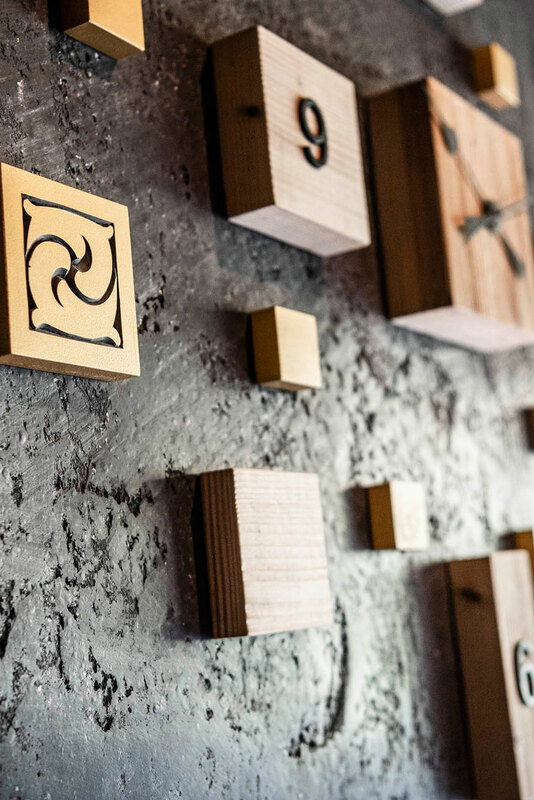 All framed by amazing draws of a famous local artist in Roman style. 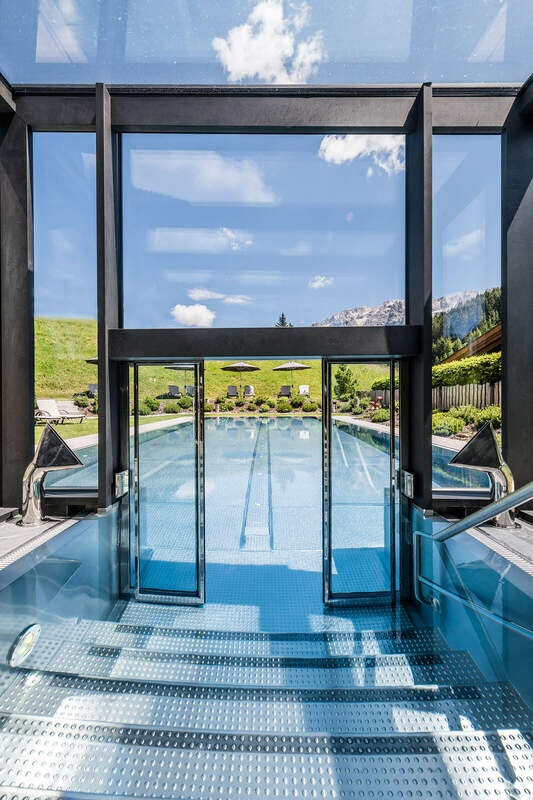 Once you get out of the pool you can relax yourself on the heated bench and enjoy a good view or lower yourself into the warm whirlpool outdoor pool.